Nothing Original, Hitler's Done It. How is a private business the same as a government leader? 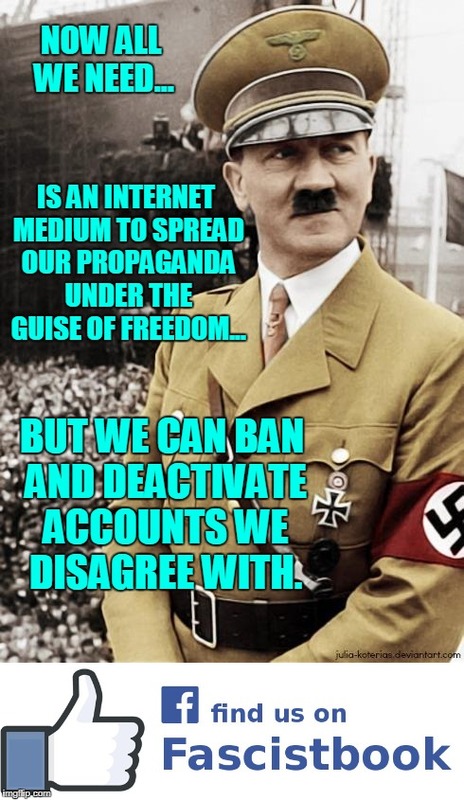 NOW ALL WE NEED... IS AN INTERNET MEDIUM TO SPREAD OUR PROPAGANDA UNDER THE GUISE OF FREEDOM... BUT WE CAN BAN AND DEACTIVATE ACCOUNTS WE DISAGREE WITH.